For backers of the …and then, we held hands. Kickstarter campaign, we included a postcard featuring original art by Marie Cardouat, the artist for the game. 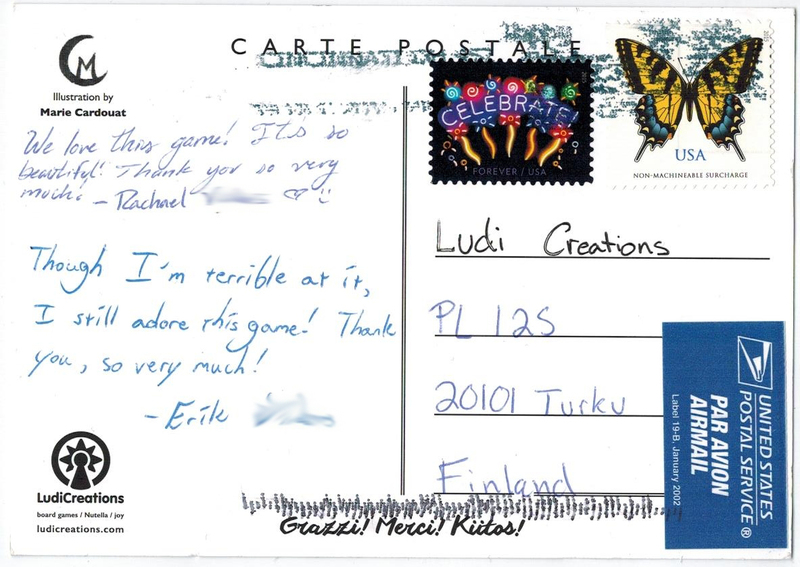 Some fans of the game sent the postcard back to us with their kind words of appreciation. We love the fact that such an unusual game can find such passionate fans. ← Game Boy Geek Review of …and then, we held hands.